This entry was posted in jacket, Knitting. Bookmark the permalink. The texture is beautiful – I would love to see a close-up shot of the jacket as it looks gorgeous! I’ve edited the post to add a close up of the stitch pattern for you. It is interesting and still effective from a distance too. This looks so warm and cozy! I may have to add it to my knitting queue 🙂 Was it a fairly fast knit? 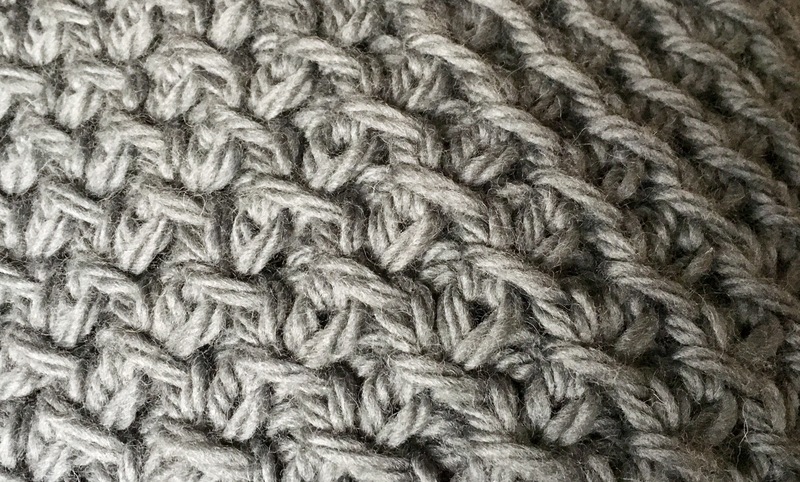 Yes, super chunky is fast anyway plus the stitch pattern is easily memorable and there’s very little shaping. As cardigans go, it’s fast! love that texture. I have been knitting a charcoal grey cardi with the same shape and it has been taking me forever (the fronts are all diagonal cables, groan). Ooo, it’s gorgeous! Love the texture to the pattern. Love this jacket/sweater. Looks so cozy!